Frank Burke is Professor Emeritus of Film at Queen's University, Canada. He is the author of Fellini's Films: From Postwar to Postmodern (1996) and Federico Fellini: Variety Lights to Dolce Vita (1984) and has co-edited Federico Fellini: Contemporary Perspectives (with Marguerite R. Waller, 2002). He has produced over 100 publications, keynote addresses, invited lectures, and special sessions on Italian and North American cinema, and has edited for the Canadian Journal of Political and Social Theory and Literature/Film Quarterly. "Burke’s meticulous editing forges fertile connections between the Canadian and American academies and those in the United Kingdom, Ireland, Australia and New Zealand. 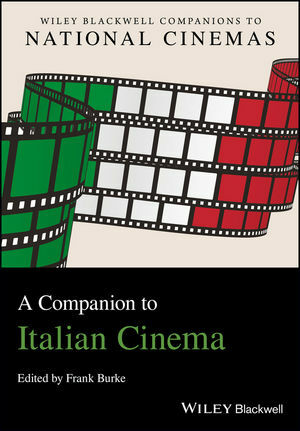 Also, Marco Vanelli Veronica Pravadelli, Stefania Parigi, Sandra Lischi and Christian Uva provide perspectives from Italian universities, resulting overall in a thorough, comprehensive overview of English language scholarship on Italian cinema."